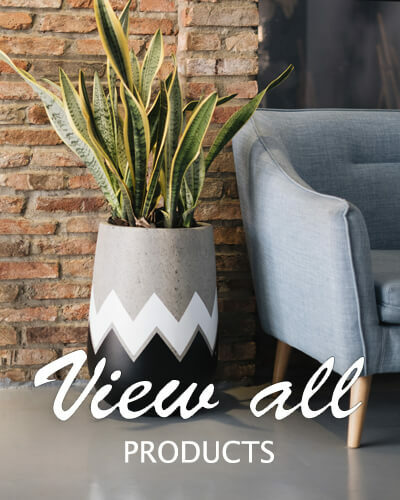 Enhance your business with natural beauty by adding Vietnam round pots to your product business list. Our pots can offer your company benefits. Customer find familiar in spaces decorated with various thing now. They want a thing beautify these building and improve workplace efficiency. Hieta garden has built the various collection of round cement pot with more size, more finished for all our customers. Your order will be finished in 60-75 days. – We need 45-60 days to produce a container, with order more than 1 container, the next container could be finish in next 2 weeks. – It take 7-45 days to make a shipment depend on your locate. Example: it take 7 days to Korea, 30 days to Australia, 45 days to US. We are the expert in this business. We believe that customer always receive the best things in Vietnam when they work with us. Free support information. We want to make friend with all our customers, send all our experince to them to have clear about Vietnam pots. Fasted response, we will be these when customer need a support. Customer can send us product list with code, image, color and quantity. After receive the inquiry, Hieta garden will fix them to container and send back a Pro-forma invoice to check by customer. After comfirmation, customer can send deposit and your order will be on process. Hieta garden has assembled a talented team of pot producing, quality control and packing with one goal: send high quality pots to around the world, a stable sourcing of pot business. Hieta garden’s team have more than 10 years in export round pots and planter. They help we have a very good things when the order in process. From material, worker, checking, packing they make them to a strong system to send to our customer the 1st quality products. We have own 2000 m2 factory in Bien Hoa, Dong Nai, Vietnam, where can provide 5-8 containers for customer per months. With more than 100 design Vietnam pottery we hope to become a good partner for you in this business.